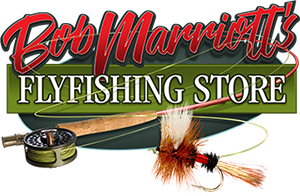 Thank you for choosing Bob Marriott's Flyfishing Store! We have detailed our shipping information here, but if you have a special circumstance or specific question, we are always available to help. Contact us at info@bobmarriotts.com or (800) 535-6633. Actual shipping charges are charged on all international shipments. This means you are charged only the actual cost we incur to ship your order. Shipping charges will be calculated at the time your order is packaged for shipment. You will be notified of these charges and a separate payment for shipping charges will be requested. International shipping charges are not included in your invoice at the time your order is placed online. You will be billed separately for shipping charges. We never mark up shipping charges to make profit. We also believe small international orders should not bear the same flat-rate shipping cost as large orders. Small orders will, at a minimum, be charged $23.95 for U.S. Priority Mail International charges. Many countries charge duties or taxes once a package arrives in customs. We have no control of these charges, and these charges (if any) are never included in our shipping charges. All foreign orders will be shipped via Federal Express, US Postal Service Express Mail International, or US Postal Service Priority Mail International. Each country has their own size restrictions for each method. Therefore, the size and value of your order will help us determine the most reliable method available. All foreign orders require a phone number. Not all animal products are able to be shipped outside of the United States. If you order an animal product that we are unable to ship to your home country we will notify you and a refund for that product will be granted. If you still have questions we are happy to help. Please email us at info@bobmarriotts.com. For a complete listing of our Store Policies click here.